What amenities are the deciding factors when choosing your hotel? Nowadays we are surrounded by technology and we have successfully introduced it into our daily life. This includes time when we spend out of work, weekends, vacations. Yes, it’s nearly impossible to disconnect from the world around. Even when we travel and are on holidays, we like to be in touch with family, friends and share experiences with them. We use internet to look for an advice, information, book hotel, flight and so on. Now, for the most of travelers it is essential to have a free internet connection in the hotel. According to the recent information from hospitality research, free Wifi is a must for both business and leisure travelers. 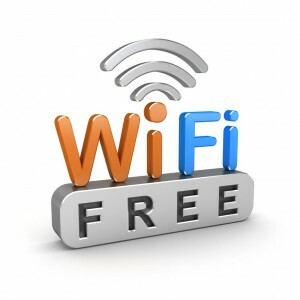 More than 50% of the guests wish free Wifi was a standard amenity across all hotels. On the second place of the most wanted amenities is free breakfast, on the third place free parking, then proximity to public transport, shops, happy hour, fitness centre and spa. On the other hand, there are amenities which are slowly disappearing from the list of the top amenities as travelers give them each time less and less importance. These are minibar, packed shampoos and soaps, bathroom phone, shuttle service, room service. The conclusion is: Free and Fast WiFi is King!